Protect your business with the most modern systems available. We at HomeTech Systems offer the best equipment today. From seeing your keypad on your smart phone (monitoring by six redundant central stations) to wireless technology. 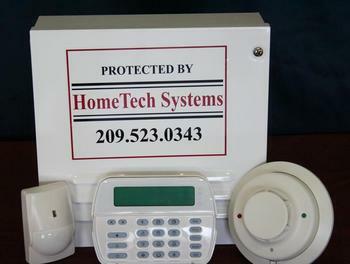 We can intricate your alarm with locks, lighting, thermostats and cameras. We'll design a system that's right for your needs!